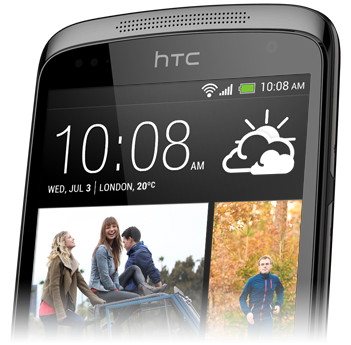 About three weeks ago HTC announced their latest device to have the Desire name attached to it; the HTC Desire 500. The Desire 500 bring the Desire range up to date with the user interface, HTC Sense 5.0, and features taken straight from the newer flagship models and rolling them in to a much more modestly priced device. The specification isn’t bad either, a Quad Core 1.2GHz CPU and 1GB RAM, 8MP camera and 1.6MP front-facing camera. There’s even a dual-SIM version available too. The 500 comes in Lacquer Black and Glacier Blue variants. Check out the unboxing video below where you can see the Desire 500 in a little more detail and also see the benchmark results.